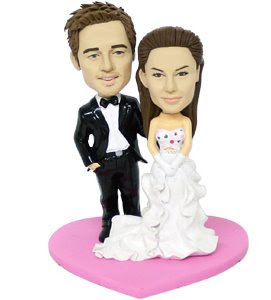 I have noticed more and more couples are starting to use bride and groom cake toppers. Not the flimsy plastic ones your mom used or the gazebo with birds on it. A few years ago they were showing off their hobbies and being fun on a grooms cake but now I am seeing a switch to the wedding cake itself. Something more stylish and more personal. Very personal - you can add in dogs, kids or a theme. 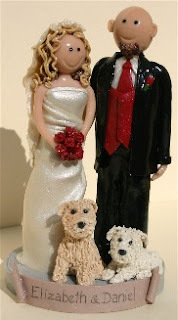 Hand Sculpted & Hand Painted Figurine made to Look Like YOU !! thanks to bff bridal, brides for some links. 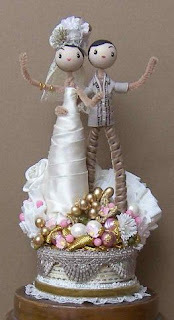 The idea of look alike sculptures surely sounds wonderful and I would prefer something like that on my wedding too. Rest assured my would be wife would be equally bewildered. Then we need to take pictures and put them in a Photo canvas for relishing the old moments of joy. Mother’s Day is celebrated for our family most special person our mother. Mother is a god gift for all people in the world.happy mothers day Every son/daughter is celebrated Mother’s Day for their mother; they express their feelings, love, and joy with their mom. Mother’s Day is celebrated in all over the world on different days; it means Mothers Day Date is not same in all over the world. In most countries, Mother’s Day is celebrated second Sunday of month May. Mother’s Day was first celebrated in 1908 when Anna Jarvis held a memorial for her mother at St Andrew’s Methodist Church in Grafton, West Virginia. St Andrew’s Methodist Church now holds the International Mother’s Day Shrine.